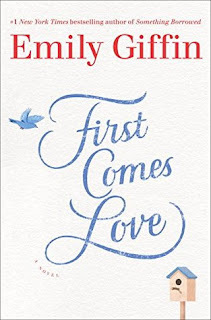 What They Say....In this dazzling new novel, Emily Giffin, the #1 New York Times bestselling author of Something Borrowed, Where We Belong, and The One & Only introduces a pair of sisters who find themselves at a crossroads. 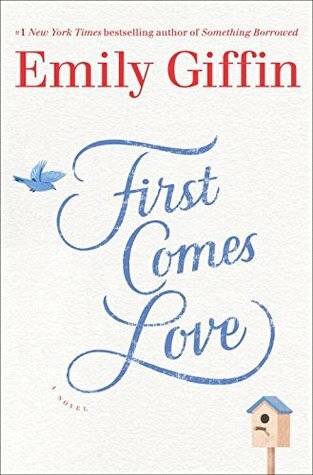 What I Say....I've been anxiously awaiting the end of June so I could finally read Emily Giffin's new book. I put it off until right before the publishing date because I knew I would blow through it since I'm such a huge fan. One of the things I like about Giffin's books are the complicated characters. No one is a perfect heroine or a perfect villain. Everyone is a little of both, just like in real life. Meredith is a control freak who doesn't know how to relax, Josie is irresponsible and self-centered. But you also see the thoughts and feelings that are behind those shields that they have built around themselves after the tragic death of their brother, Daniel. When the perfect guy seems to land on Josie's doorstep, she decides that this is the right time to pursue single motherhood with sperm donor. Her best friend/roommate is skeptically supportive, but the new guy is all on board, willing to donate sperm, and only be as involved as Josie wants him to be. Meredith has the perfect husband and child and doesn't seem to appreciate either one, and spends her days toiling as a lawyer, a job she hates. Soon everything begins to bubble up as the anniversary of Daniel's death approaches. Meredith leaves her family to try out New York again, Josie breaks off with her new boyfriend and starts discussing using her roommates sperm right as he finds a perfect new girlfriend. Talk about being your own worst enemy! This is a great book about the relationships that fester between siblings. It would be great if we all had the picture perfect sibling relationships but that's not always the way real life is, and Giffin excels in writing damaged relationships.